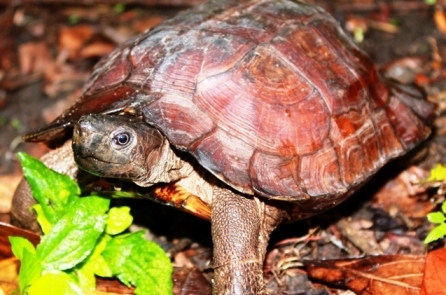 Heosemys spinosa is a very distinctive turtle. It has a sharp point on each marginal scute of the carapace and several more along the keel. There are smaller spines on the pleural scutes, creating the effect of a walking pin cushion. Adults may lose of the spines along the keel and pleural scutes. The carapace is brown with a lighter stripe down the center. 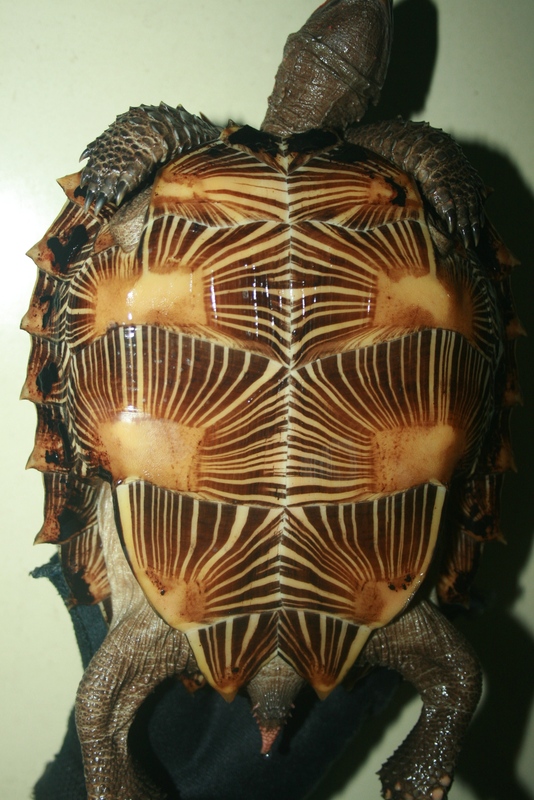 The underside of the marginals and the plastron are buff colored with dark radiating stripes on each scute. The head may be brown or gray with a yellow spot on each side. The legs are gray with yellow speckling. The feet are slightly webbed. A medium sized turtle, the spiny turtle is about 9 inches long in adulthood. 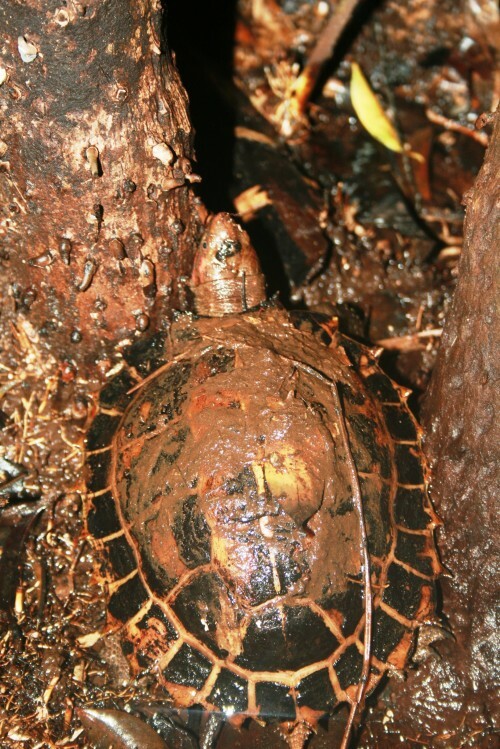 The spiny turtle (Heosemys spinosa) inhabits lowland and hill rainforest, usually in the vicinity of small streams, mainly in hill areas up to 900 m.
The spiny turtle is known from Brunei, Indonesia, Malaysia, Myanmar, the Philippines, Singapore, and Thailand.